When you choose medicine, you also choose a lifestyle. 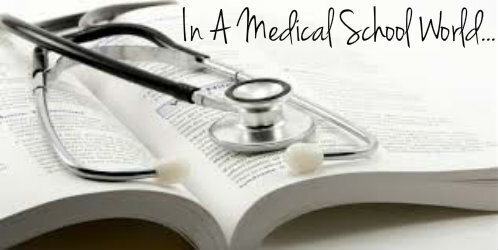 So far in my medical school journey I’ve seen two routes, to life in the medical school world. I made my choice early on, but I’m feeling the pull to change my ways. There are those who get through it, seemingly quite easily. This has never been me. You don’t have to be pursuing higher education to see this. I’ve noticed this since high school. The ones who party hard and seem to never study. And yet they score well on exams. It’s happened countless times. Oh, I got a 90…so could have done better. I admit I have some problems with consistency and procrastination. I don’t know anyone who doesn’t to some degree. But getting into medical school did something amazing for me. As you can imagine, since I began my first semester of medical school I have been putting in work because I wanted to be sure. This was not the time to be sometime-ish or gamble away the time and money I was putting into becoming a physician. This is not to say I was perfect at being focused, but my life became studying. It became studying and everything to do with medicine. That was what I did the most. The weird thing was that I enjoyed it to a higher degree than I thought was really possible going into this. I absolutely love being a professional student. But truly, I knew it was not all that healthy seeing as everything else became second to that. Just life in general. I made this choice myself. I decided that medicine should come first. It was what I was told by every person in the medical field that I looked up to. It was what I read on medical blogs and every site I visited when I was doing research about med school. It’s what is done. It’s what I did for the past two years and change. And so far, it has worked. But no doubt, it’s left the rest of my life feeling a little…neglected. So early in my career, I’m already feeling what the word sacrifice means. And I am definitely okay with that. It’s not as if I didn’t know what I was getting into, and I can’t imagine my life doing anything else. I would just never be happy if I was not doing this. I know this, so instead of complaining of the sacrifice, I’ll do what I have become increasingly good at through my journey so far in medical school. I will balance. I’m putting away the study crazy student and reconnecting with my other elements. Things I love, people I love, who also love me. I’m taking a few notes from my fellow med students who still find time to have fun and succeed. I know that I love medicine, but I love other things as well. Thank goodness love is something that is endless and therefore the amount of love I have for life can stretch across many different things. Medicine will always be my top priority, but other loves of mine are now going to take front seats as well. You cannot pour from a cup which is empty. I am aiming to have a beautifully full life. In order to give the best of myself in my future as a physician , I have to have some balance. Looking forward to having some fun!